Awash In Cash, Drug Cartels Rely On Big Banks To Launder Profits : Parallels Drug lords face a recurring problem: what to do with all that cash? Time and again, they have managed to launder their fortunes through some of the world's leading banks. A woman uses a cash machine at an HSBC bank office in Mexico City. The multi-national bank was heavily penalized several years ago for permitting huge transfers of drug cartel money between Mexico and the U.S.
And Sinaloa is reportedly the richest, most powerful of them all, according to the Drug Enforcement Administration. The capture last month of the Mexican druglord Joaquin "Chapo" Guzman has cast a spotlight on the smuggling empire he built. One key to the Sinaloa Cartel's success has been to use the global banking system to launder all this cash. "It's very important for them to get that money into the banking system and do so with as little scrutiny as possible," says Jim Hayes, special agent in charge of Homeland Security Investigations for the New York office of Immigration and Customs Enforcement, or ICE. He was lead agent in the 2012 case that revealed how Sinaloa money men used HSBC, one of the world's largest banks, as their private vault. ICE says in 2007 and 2008, the Sinaloa Cartel and a Colombian cartel wire-transferred $881 million in illegal drug proceeds into U.S. accounts. 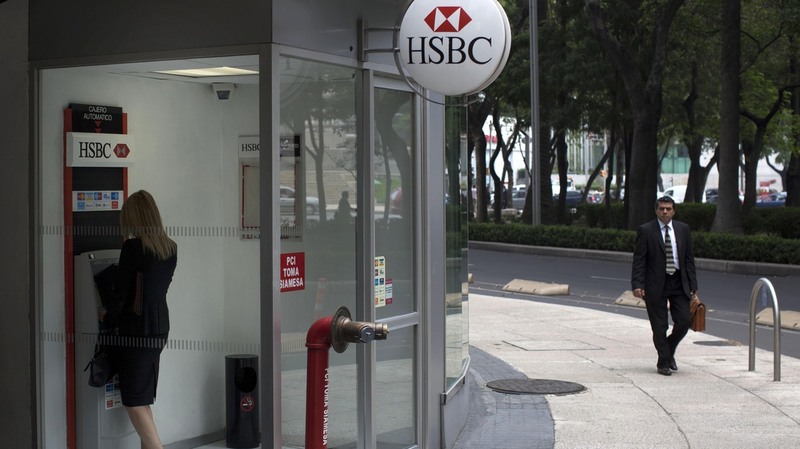 According to a subsequent investigation by the U.S. Senate Permanent Subcommittee on Investigations, cartel operatives would sometimes deposit hundreds of thousands of dollars in cash in a single day using boxes designed to fit the exact dimensions of the teller's window at HSBC branches in Mexico. The bank ignored basic anti-money laundering controls, as the investigation found. In 2007 and 2008, the bank's personnel in Mexico wired $7 billion dollars to corresponding U.S. dollar accounts in New York. These were more dollars than even larger Mexican banks wired to U.S. accounts. ICE says some of it was drug proceeds. Yet no red flags were raised because of what a bank official later described as, a "lack of a compliance culture" in the Mexico affiliate, according to the Senate report. Moreover, the dollar transfers earned HSBC hefty fees. The Senate investigation quoted an HSBC email lamenting how the bank would lose $2.6 billion in revenue from U.S. dollar accounts that it was forced to close because of the Mexico fiasco. "When I was told that there could be in the billions of dollars being moved through these accounts, it was very difficult to believe," says senior ICE agent Jim Hayes. "A lot of people have asked, 'Was this complicit?' We don't believe that they (HSBC personnel) knew for certain that the money being moved was drug money, but they should have known." In Culiacán, the prosperous capital of Sinaloa, where people live cheek by jowl with the cartel, even they were shocked that narco-dollars could be laundered so brazenly. "You see the building, the office, the cars, the papers, the men in suits. Everything looks legal. That's what frightens us," says Javier Valdez, an author and journalist in Culiacan who writes about narcotrafficking. "The DEA loves to sell the idea that these guys are super sophisticated criminal masterminds," says Alejandro Hope, a security analyst in Mexico City and a former federal intelligence agent. "It's so simple. It's so unsophisticated. That is what to me is the most disturbing part of this. These guys are not even trying that hard." The consequences for ignoring the torrent of dirty money flowing into its Mexico bank vaults were severe for HSBC. The Department of Justice levied penalties and forfeitures of $1.9 billion on the bank. Of course, with $2.6 trillion in assets, for HSBC this represented a man with a hundred dollars in his pocket paying a fine of seven cents. HSBC was also faulted for hiding prohibited transactions with nations like Iran and Cuba. "HSBC has made progress in remediating anti-money laundering sanctions compliance deficiencies. But we recognize that protecting against financial crime is an ongoing journey and we have much more to do. Since 2011, we have implemented reforms and new controls, enhanced our monitoring systems, and strengthened and expanded our global financial crime and compliance organization. For example, the number of fulltime employees in financial crime and regulatory compliance is up 54 percent between 2012 and 2013." ICE agent Jim Hayes says fallout from the HSBC case continues. "We think this forfeiture is significant enough to make other banks to look and make sure they're in compliance," he says. In the wake of HSBC, other banks boosted their anti-money laundering budgets, increased know-your-customer rules, and in some cases dumped high-risk clients. Which might make you think, well, now they've got money laundering under control. "Despite all of the efforts, banks are still vulnerable to money laundering and it's kind of an age-old thing," says Kieran Beer, editor of the news website of the Association of Certified Anti-Money Laundering Specialists. "The drug trade is overwhelming in terms of how that money finds paths—like water — to come into the global financial system," Beer continues. HSBC wasn't the first or last bank money-laundering scandal. In 2010, prosecutors detailed how Wachovia Bank had been used by Mexican currency exchange houses to launder at least $110 million in drug profits. In 2012, The Wall Street Journal reported on an FBI affidavit that laid out how the Zetas Cartel used Bank of America to launder cash through a racehorse operation in Texas. And last month, Western Union agreed to do more to beef up vulnerabilities in its money transfer business along the southwest border. Back in Culiacán, and throughout Mexico, currency exchange houses operate under strict new rules that are supposed to limit the size of dollar transactions, investigators are watching to see what the narcos next money-laundering ploy will be.